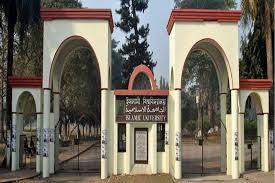 The viva voce of ‘D’-unit merit list candidates of Islamic University (IU) in Kushtia will begin Tuesday under the faculties of Sciences, Biological Sciences and Engineering & Technology, a press release said today. As per the schedule, the viva voce of 1st, 2nd and 3rd shifts of the unit will be held on Tuesday and Wednesday at the office of unit coordinator, release added. More information regarding the viva voce procedures is available on the university website: www.iu.ac.bd.